Betfair is the world’s first and largest betting exchange and are now offering betting on e-sports. 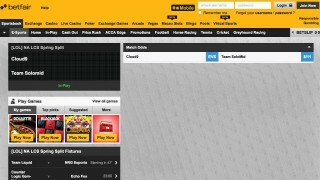 This is great news as Betfair offer some of the very best bonuses and odds in online betting. As well as being a betting exchange, Betfair run a traditional bookmaker offering which is where almost all their eSports betting is done, though they have occasionally experimented with offering a betting exchange on e-sports. What is a betting exchange you ask? Well a betting exchange is where you bet against other punters rather than against the bookmaker. The betting exchange simply connects you with other bettors so you go directly head to head. This allows Betfair esports to offer fantastic odds, as they are not taking the risk on themselves for the bet. However as Betfair are not offering much in their exchange for e-sports we’ll concentrate on their traditional sports book offering, which still offers fantastic odds and excellent bonuses. Betfair were founded in 2000 and are operated under a Gibraltar licence, though they are based in London, UK. You can bet in a wide variety of countries though unfortunately not in France, Belgium, Bulgaria, Greece, Turkey, China, Japan, Israel, North Korea, Israel, Iran, Iraq, Lebanon, Thailand, Canada, Greenland, Cuba, Ivory Coast, DR Congo, Eritrea, Libya, Somalia and Sudan. Betfair enjoy a really strong name in online betting due to their excellent odds, bonuses and services and this makes them a really good bookmaker for e-sports betting online and on mobile. Betfair are extremely new to the e-sports betting scene and it’s fair to say the range of betting options they offer are a little limited. However they have started to offer the ability to bet on a number of different e-sport games. This is a good range of games, though at the moment they are only offering to bet on the more major eSports tournaments for these games, which means the variety of options you have are slightly limited. Map Winner – this means betting on a team to win a certain round of match. Most e-sports matches are played in a best of format, such as best of 3 games/rounds. If you bet on a team to win map 1, then you think they’ll win the first round. Map Most Kills – this is betting on which team will get the most kills on a map. This type of bet is specific to MOBA games like LoL and DotA 2. Map First Blood – this is betting on which team will get the first kill on a map. In addition to this, Betfair offer in-play betting, which most bookmakers don’t currently offer on e-sports. In-play betting means you can bet on a match while the match is in progress. This can give you an extra edge in betting if you are experienced enough to read to flow of a match. 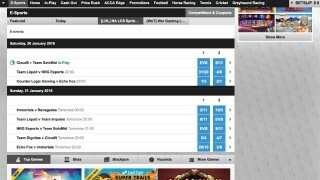 So while the number of tournaments being offered are a bit limited, the betting options with Betfair are really good. The only choice is war. The only allies are enemies. 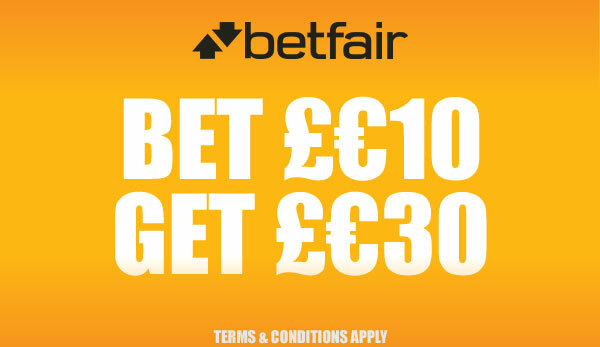 Betfair are well known for offering a range of fantastic bonuses. Their current general signup bonus is 3 bonus £10 bets when you deposit and bet £10. That is a fantastic offering, giving your triple your first bet. Your first £10 bet must be made within 30 days of signing up. Your first bet must also be made at odds of at least 1.2 (1/5). Exchange bets are excluded from this offer. All 3 bonus bets must be made at £10, you cannot split this, for example, into 6 £5 bets. That is a really generous signup bonus which is well worth taking advantage of. Currently there are no specialist e-sport specific bonuses on offer (as they do for football with enhanced odds bonuses), but as they expand their e-sport offering these will come along and we’ll make sure you are given all of these bonuses on esportbet.today. Once you have signed up with Betfair you will want to deposit some money into your account in order to make your first bet (and to activate your bonus). Luckily you will be able to deposit into your account immediately after registering. This gives you a fantastic variety of options to allow you to choose which you are happiest with and feel the most secure with. When making a deposit into your account the vast majority of methods that are offered by Betfair will be added instantly. Some will take slightly longer though, for example, ClickandBuy might have an hour delay, Bank transfer 3 working days & cheques 7-10 working days. When withdrawing from Betfair though it can take a little longer. For most traditional methods (credit/debit card & bank transfer) you’ll look at around 2-5 working days for the money to reach your account. Methods like PayPal & Neteller are much faster though, taking a maximum of 24 hours. 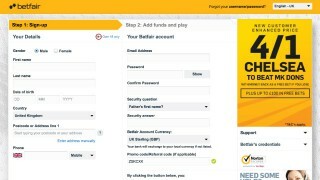 Your first withdrawal will be held up as Betfair must verify your identity for this one withdrawal. They may request such items as utility bills, driver’s licences, and photocopies of the front and back of your credit/debit card. This may seem invasive but goes a long way towards preventing fraud. A fantastic bonus to Betfair is their low fees for withdrawing your money from your account. In fact almost all of the methods they offer have no fees attached. They also don’t have any limits on the maximum withdrawal amount on most of the methods too. This a big advantage over competitors for the regular gambler. Betfair eSport site have a good reputation for their customer service. They really do try to live up to their Betfair name. Their customer service is available 24/7 with fast response times and you’ll be able to get your queries answered via several different means. These include phone numbers for UK, Ireland, Australia and the Rest of the World, along with Live Chat via the online Betfair site and individual support email addresses for 11 different countries including UK ([email protected]) and Australia ([email protected]). They also have a helpful list of frequently asked questions, so be sure to check these to see if your question has already been answered. 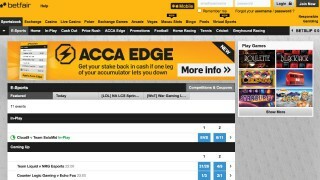 Betfair are new to the eSports betting market, but are an extremely well established and popular sports bookmaker with an excellent reputation. While their e-sport betting options are somewhat limited at the moment, they do have some interesting options, including in-play betting which many other bookmakers are not yet offering on e-sports. An excellent, easy-to-use, user interface both on desktop and mobile. Betfair eSports will treat you fairly, with excellent bonuses and fees, though limited betting opportunities which will no doubt grow overtime as the popularity of eSports betting grows.